« Where are the veggies? 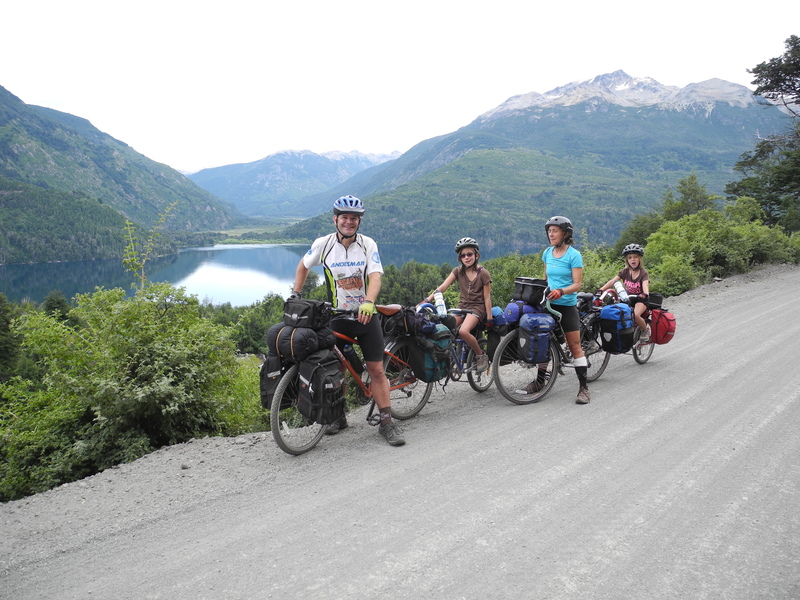 We have finished our Patagonian bike journey and returned to our apartment in Mendoza! It was an incredibly enjoyable trip in many ways, and in other ways a very difficult one. In all ways, it was truly successful and a learning process for all of us. If you know me, you know that I am very physically active, and thrive on physical challenge. I LOVE to push my body to work hard and thoroughly enjoy the endorphin high and feeling of strength and accomplishment that result. In fact, I generally prefer going up to going down. 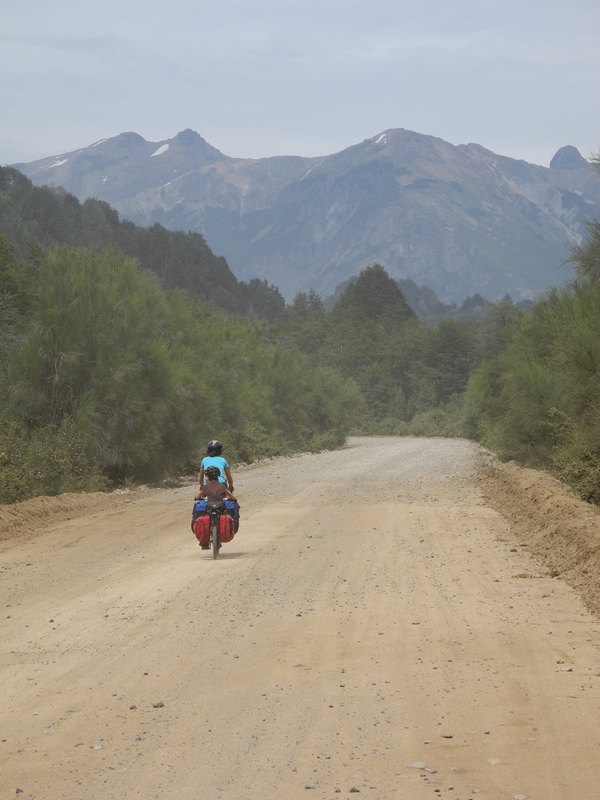 In the region of northern Patagonia there are few paved roads, so the most difficult challenge for me was riding the ‘ripio’. This is not simply a gravel road, but an uneven surface with potholes, washboard and many loose rocks, often the size of baseballs. 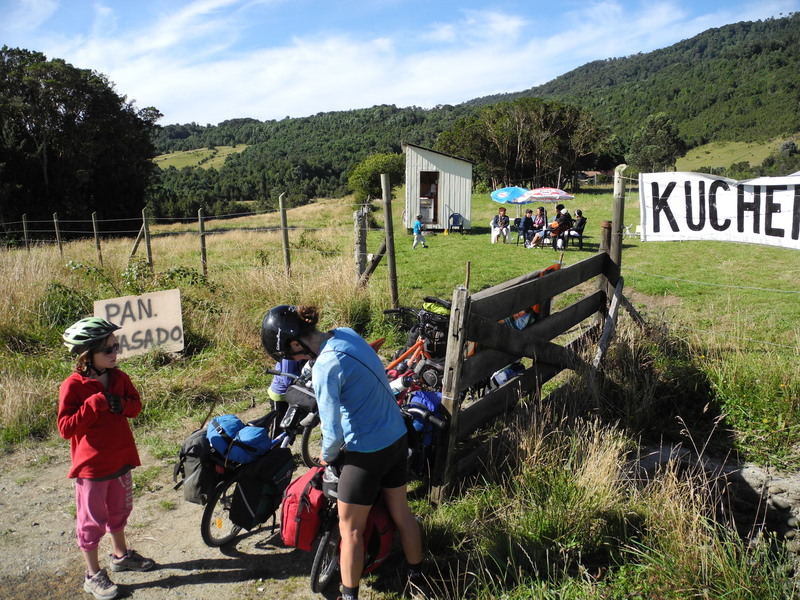 On my (fabulous Surley Long Haul Trucker) touring bike with a tag-along, a 50 pound child and 6 panniers attached, all of my concentration and energy (both physical and mental) was devoted to keeping upright and moving forward. Despite these demanding elements, biking in this region brought constant rewards of extraordinary scenery- forested mountains and snow capped peaks often surrounding pristine turquoise lakes or rivers, and in the heat, the promise of a refreshing swim. 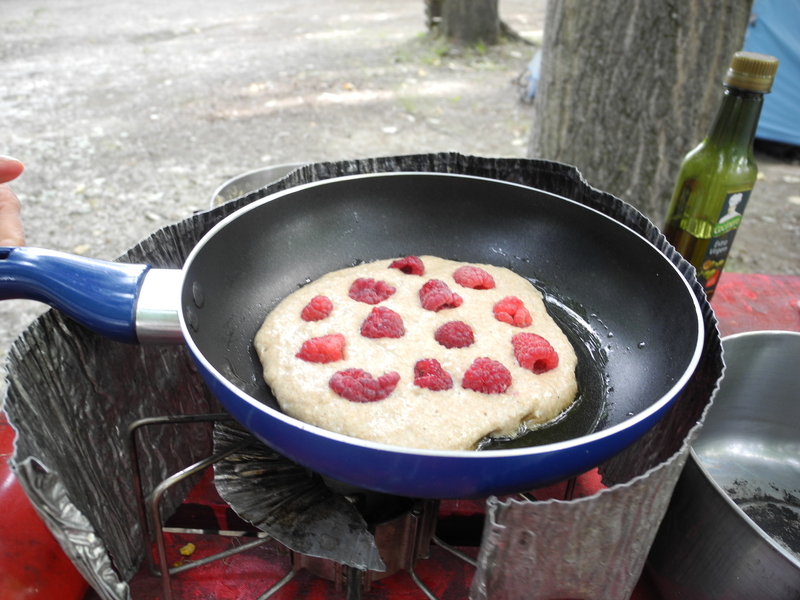 The other reward was the pleasure of eating during, and after a long hard day of biking. In general, I do not eat things from a mix. Besides the fact that I am a chef who teaches and preaches scratch cooking, I find mixes generally overly salty, lacking in texture and grainy in texture, not to mention that they are loaded with things like Monosodium Glutamate, artificial flavoring and several versions of sugar and salt. All of that said, I resorted to and relied on these mixes for many of our meals. They were light, added bulk and some flavor and were always easier to find and carry than fresh vegetables. 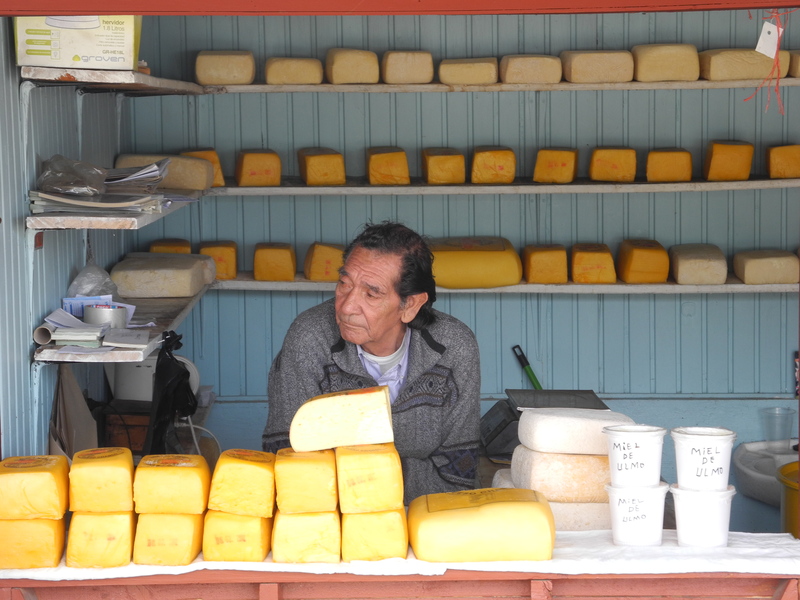 When possible, I bought local cheese, and it is easy to find bread (‘pan amasado’-literally kneaded bread often sold at roadside stands) and other versions of fried dough just about anywhere. I found myself challenged in terms of creativity and ingredients much like many of the people that I teach. It was often frustrating, and unsatisfying to cook and eat this way, and there were several times when it left me longing for something else. This gave me great empathy and helped me to think through this problem in new ways. What are the most basic things a person needs to have and to know in order to eat well? How much energy and time does it take to make good, wholesome food when the situation is less than ideal? Can it even be done? I am a lucky person. I was traveling through extraordinary landscapes by choice, and the limits and shortcomings in our ‘pantry’ were temporary. In addition, I was able to take advantage of local producers with some regularity and although many of these items were not ‘whole foods’ at least they were fresh and hand made. It is complicated to determine which of these priorities is most important, and equally important to relax, and enjoy the food you have and the opportunity to share it with those you love in a comfortable, and hopefully, a beautiful place. Congratualtions on your hard journey but rewarding in Patagonia. It would last as much as you had to sweat out there. Good to hear from you too. We are in Bali at this point, relaxing in swimming pool everyday. Have great time in Mendoza for rest of your gap year. Hey there, great to hear from you guys! I imagine Bali is fabulous. When is your next marathon? I ran yesterday in the Mendoza heat and it nearly killed me. Happy travels to you guys! Love getting these insights into the everyday parts of the trip. I read this to my walking group over coffee and very bad muiffins and scones at Wilde Roast! I love this post, about making the best out of what you have at hand. Bravo. I’m impressed that you were able to ingest enough calories to keep going on that road surface! Jacquelynn, I love this post too for that very reason. 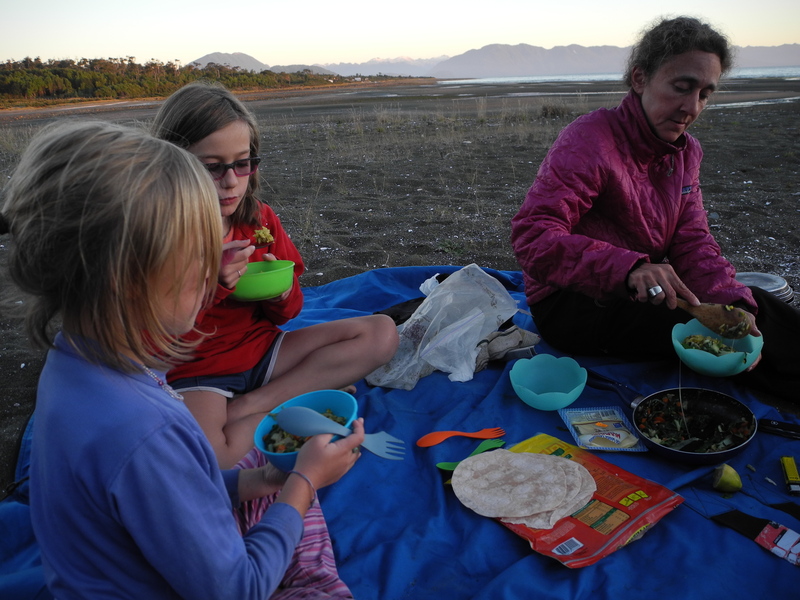 Food and cooking are so much more than fancy ingredients and presentation-it is about sharing a meal with those you love….nourishing in all kinds of ways. Thanks for reading!